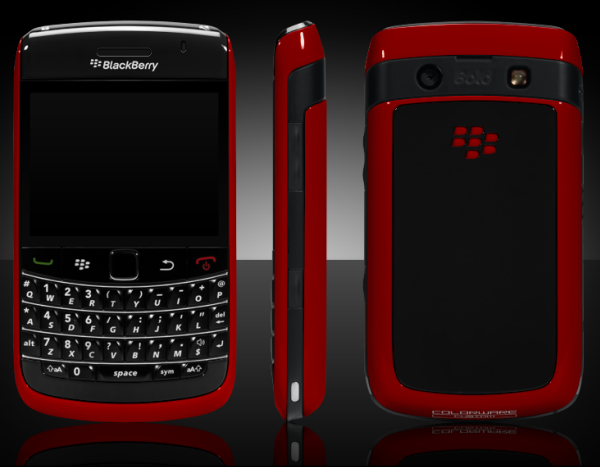 Colorware All Set To Make Your BlackBerry Bold 9700 Sexier! It was only a matter of time for those who might have been waiting for this. Colorware now has available on their site, the option to fully customize your BlackBerry Bold 9700 to any specs you do so wish. The BlackBerry Bold 9700 has lots of pieces that can be colored, right down to the BlackBerry logo on the back itself. The above pic is my creation which I'll certainly be ordering. Prices are as per any other BlackBerry device starting at $159 and going all the way up to $849 if you want to purchase your 9700 directly from Colorware.